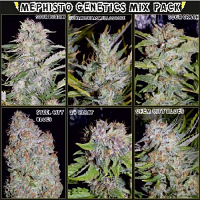 Mephisto Genetics Seeds is a group of auto-flower enthusiasts dedicated to producing some of the best automatic genetics available today. 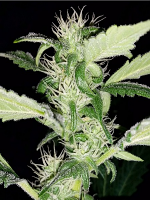 With over a decade of experience experimenting, breeding and cultivating, a comprehensive knowledge of auto-flowering cannabis plants, Mephisto Genetics does all of its work in-house, from selections, right through to pollinations and de-seeding. 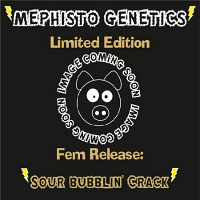 Over the last three years, Mephisto has combed through thousands of plants in each marijuana strain in order to uncover the perfect parent specimens to breed with. Only the very best specimens are chosen and, if none of the plants meet the company’s rigorous standards, they plant even more seeds and start the process again. 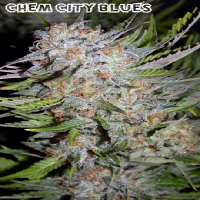 At Sensible Seeds, we supply an extensive range of cheap cannabis seeds from Mephisto Genetics Seeds, including Mephisto Genetics Seeds Deep Blue C Auto, Mephisto Genetics Seeds Fantasmo Express Auto, Mephisto Genetics Seeds Sour Blues Auto Feminised, Mephisto Genetics Seeds Sour Bubbly Auto, Mephisto Genetics Seeds Toof Decay Auto Feminised, Mephisto Genetics Seeds Sour Crack Auto Feminised, Mephisto Seeds Supernatural OG Auto, Mephisto Genetics Seeds The White Train Auto, and Mephisto Genetics Seeds Walter White Auto. 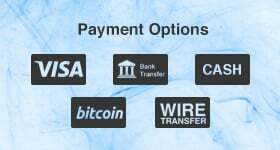 If you’re looking to buy cheap cannabis seeds or for more information about our range of Mephisto Genetics Seeds marijuana seeds, or any of our other weed seed banks, please do not hesitate to contact us. We’re always happy to help!